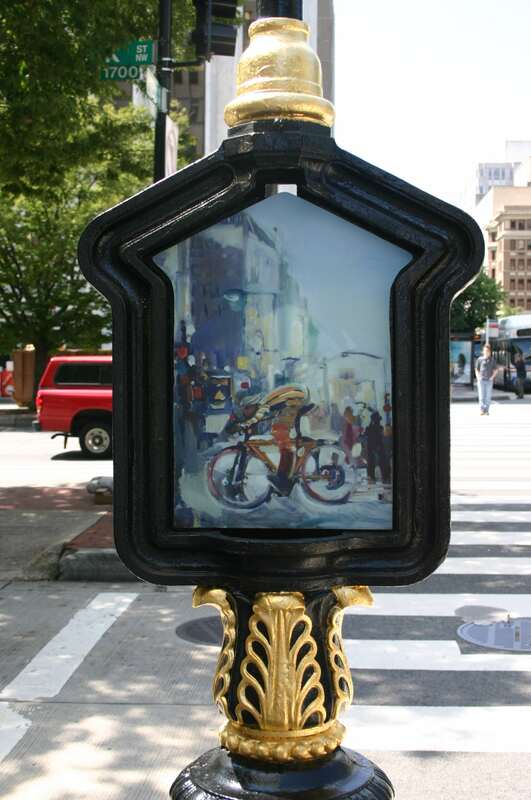 A transformation of history to art. 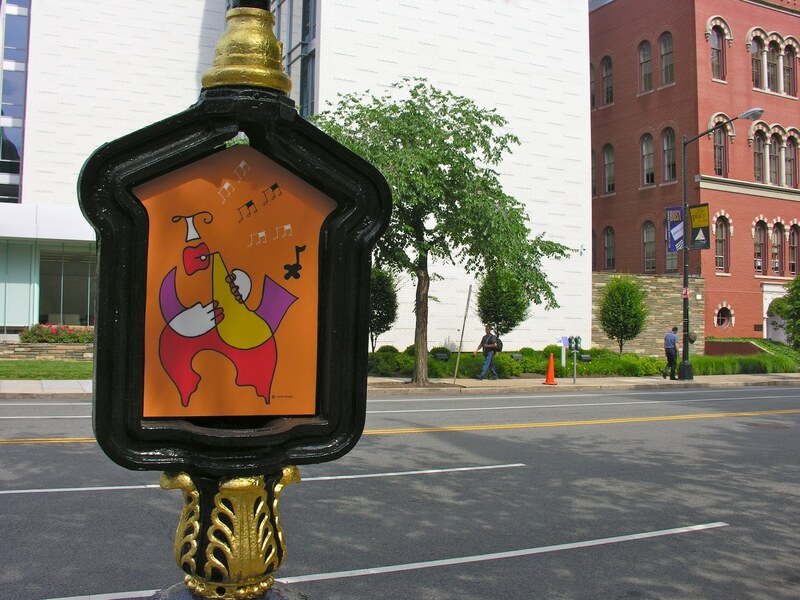 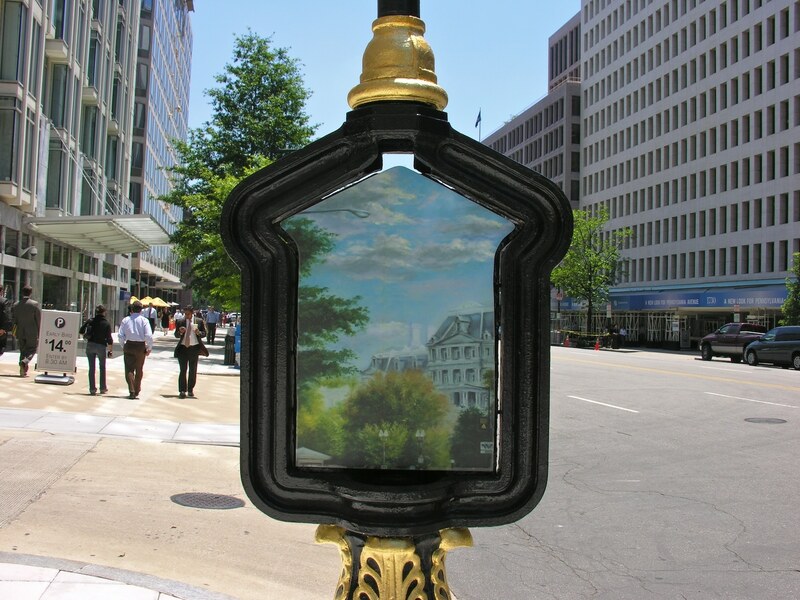 Nine historic fire call boxes in the Golden Triangle were transformed into vibrant works of public art in 2008. 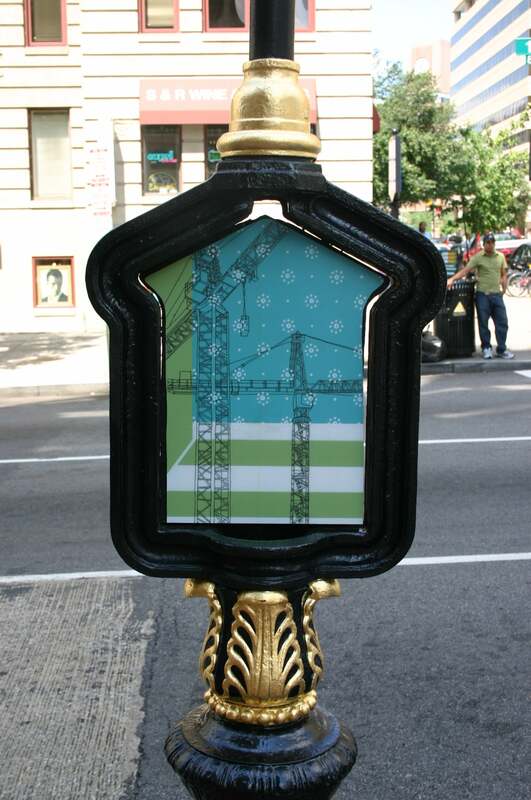 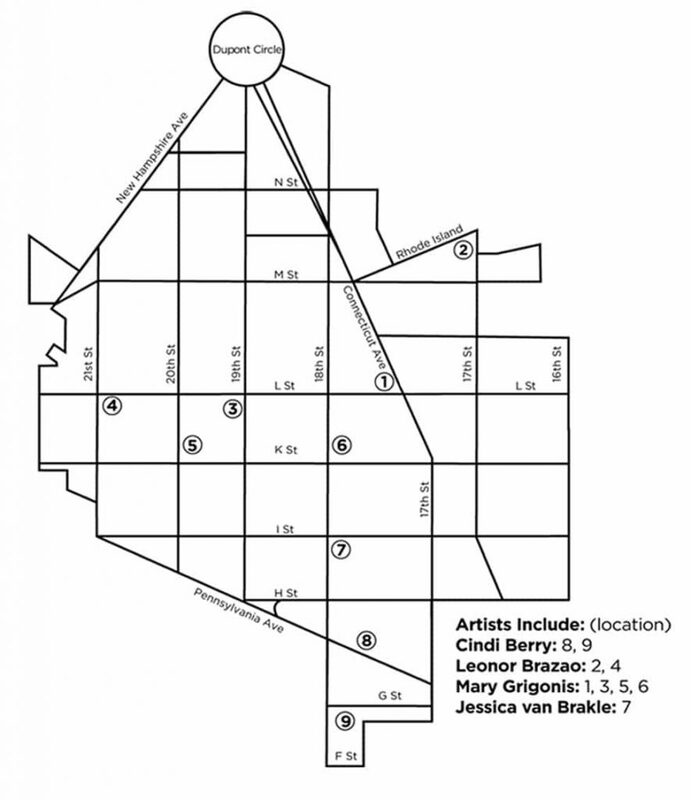 Four artists were chosen to have works, inspired by the Golden Triangle neighborhood, installed in the call boxes. 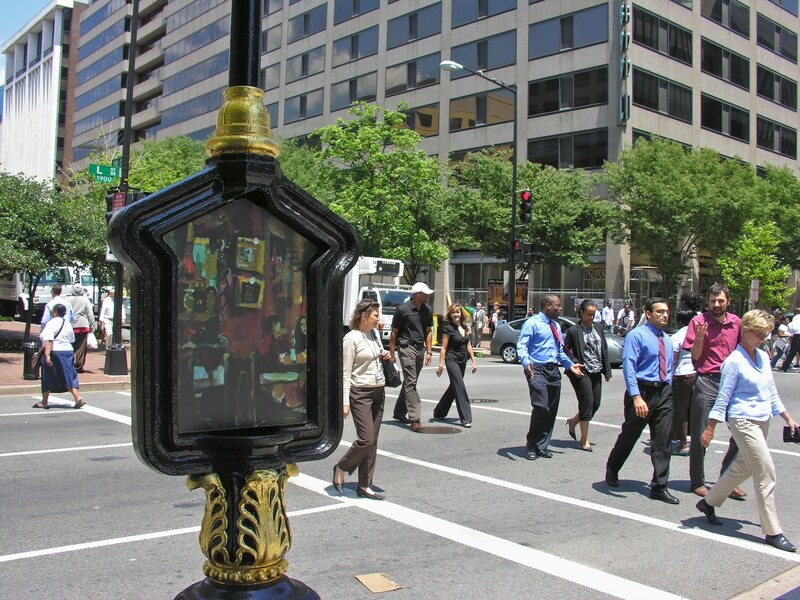 Each box showcases a different iconic element of the area, be it a bustling scene of K Street, the exciting post-work nightlife, a striking image of the White House, or Metro’s role in connecting people to the area. 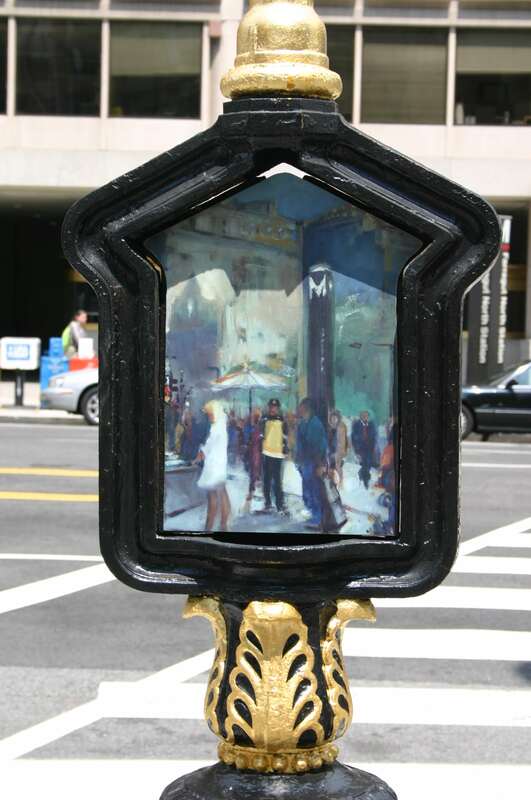 This project was part of Art on Call, a program of Cultural Tourism DC in partnership with the DC Commission on the Arts and Humanities, the District Department of Transportation, and the Office of the Deputy Mayor for Planning and Economic Development.